First published in 1988, this book argues that discussions of urban development often neglect to consider that much of the urban environment is designed by architects and planners, and that the particular world-view of architects and planners is crucial for the way proposals are taken up, modified and carried out. 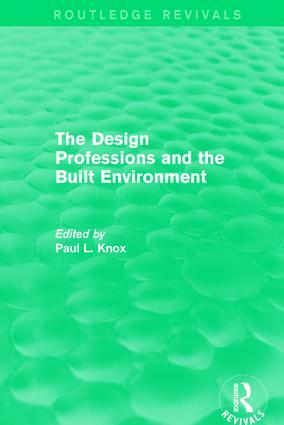 The author explores the world-view of architects and planners, considering their approach to design and the factors which influence this — work patterns, career paths and the firms in which they operate. The author also studies their place in the political decision-making process as it affects urban questions and then explores how architects and planners roles are changing.